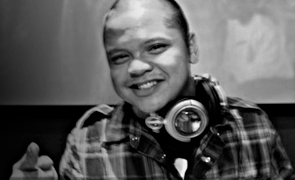 Straight from Los Angeles, California, PJ the Video DJ began his career of becoming a DJ with two old school tape deck players with his two older brothers in 1996. A year later, PJ and his brothers invested in two turntables, a mixer and the whole nine yards. Honing his skills with much practice in his garage, so called “studio,” he has set himself apart to be unique in his own way of mixing. 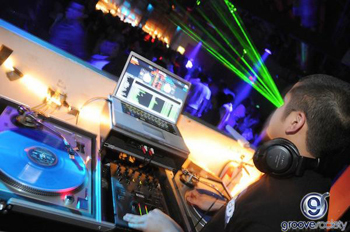 With much practice and hard work, it has led him to DJ for A-List Celebrities such as Kevin Bacon and Kira Sedgwick for the Official after party of TNT’s show “The Closer” at the well known Day After night club formerly known as Montmarte Lounge in Hollywood in 2006. PJ has also performed to the likes of Teddy Riley of Blackstreet, Stevie B., Rza of the Wu-Tang Clan, Mario, Mos Def, Manny “PacMan” Pacquiao, Apl De Ap of The Black Eyed Peas as well as DJing special private celebrity events for the Los Angeles Lakers roster. Other than DJing for celebrity actors and actresses, he has had the opportunity to open up many times for DJ Splyce, a celebrity DJ who was named “Hollywood’s Disc Jockey to the Stars.” He has built his relationship with Splyce and Hollywood’s Top Night Life Personnel as well as creating a perfect fan base for the world to encounter. In March of 2007, PJ was declared a part of Los Angeles and Orange County’s all new MOVIN 93.9 Street Team with the famous Rick Dees In The Morning Show! Three years later, he then joined LA’s 1 Hit Radio Station Flava Unit (Street Team), Power 106 with Big Boy’s Neighborhood Morning Show, opening more doors and creating more opportunities for himself. Other than DJing from city to city for Power 106 listeners, you could also catch DJ PJ, who has been one of Young Hollywood’s up and rising DJs capitalizing the LA club scene headlining at many of Hollywood’s Hot Spots. 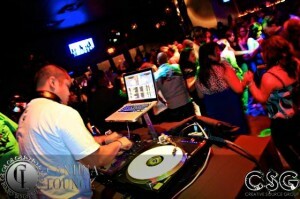 You can definitely grasp a sample of our video DJ at a city near you.